Since 1981, Ravifruit has established itself as one of the world’s leading suppliers of frozen and ambient fruits to professionals in the catering sector as well as to industry. 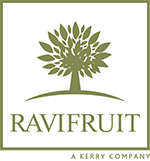 Ravifruit’s reputation has been built on their absolute commitment to select only the very best fruits that nature has to offer coupled with a strong culture of innovation. Since 1996, Ravifruit has been a part of the Kerry Group. As a result, from its beginnings as a specialist in frozen fruit purées, Ravifruit became the first company to create ready-to-use fruit coulis (1988), ambient pasteurised fruit purées (1991), aromatic fruit purées (2003) and is still the only company to offer frozen fruit grains (2005). 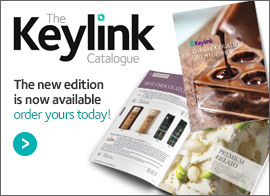 Keylink have been appointed as the exclusive distributor for England and Wales for all Ravifruit products and launched the range with Ambient Fruit purées. There are some excellent recipes on the Ravifruit website. Once there you can select Recipes from the top menu.